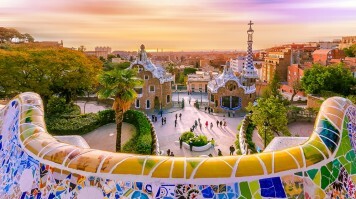 Since hosting the Olympics in 1992, Barcelona has been rejuvenated, transforming itself into one of Europe’s most popular tourist destinations. It is a vibrant, exciting city with a strong cultural identity and a rich, almost tangible tradition of art and creativity. It is a place where you can spend your days in world-class museums and galleries or exploring mazes of narrow streets, and then enjoy distinctive local food and colourful nightlife after the sun goes down. Here’s everything you need to know when planning a trip to Barcelona. Peak season in Barcelona is from May to early September. This is the time when the city is most crowded, the weather is at its hottest and the hotels are at their most expensive. However, this is offset by long balmy evenings that are perfect for al fresco dining or enjoying a drink in one of the city’s plazas. The low season runs from November to early March. At this time, prices are at their lowest and the crowds have disappeared, but the weather can be hit and miss. Some days are mild, but you are just as likely to endure cold temperatures, grey skies and constant drizzle. This means the best time for traveling to Barcelona is probably the shoulder seasons — either late May to April or late September to October. During these times, prices are lower than during peak season and there are fewer tourists — but you are still much more likely to enjoy pleasant warm weather. There is so much to do and see during a Barcelona trip, and even if you stay for a week, you can only scratch the surface. Everyone starts with Las Ramblas, Barcelona’s most famous street, and no visitor fails to make their way to the Sagrada Família, Gaudí’s bizarre unfinished masterpiece and instantly recognisable icon of the city. Gaudí also left his mark in the form of Parc Güell, another of Barcelona’s unmissable attractions, along with other buildings like the Casa Batlló and La Pedrera (also known as Casa Milà), both of which can be visited. One neighbourhood close to Las Ramblas that repays exploration on foot is the Barri Gòtic, the Gothic Quarter, a maze of narrow atmospheric streets and home to La Seu, Barcelona’s imposing Gothic cathedral. El Ravel is an artsy district is also worth investigating; it was formerly the city’s red-light district and still retains a little of the edginess of its past. Barcelona is home to countless museums. The Museu Picasso is the most famous, but others hold collections of Catalan art, exhibitions on local culture, archaeological artefacts and much more. 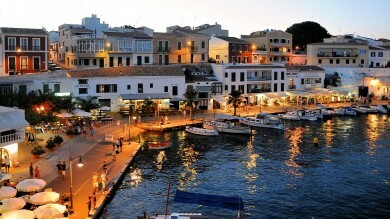 Other areas worth checking out include Monjuïc, the centre of Barcelona’s 1992 Olympic Games, and Port Vell, the Old Port. Finally, there’s Barceloneta, Barcelona’s beachfront, a pleasant place for a stroll — or simply for taking time out on the sand if the museums, art and culture all become a bit too much. Day 1: Your Barcelona trip starts with a morning stroll along Las Ramblas followed by a tour of the Gran Teatre del Liceu at 10am. After the tour, make your way back up Las Ramblas, not forgetting to duck into the Mercat de la Boqueria on the west side of the street just north of the Liceu metro stop. From there, head to the Barri Gòtic to explore its atmospheric warren of streets. After lunch, visit La Seu, then continue on to the Museu Picasso a little further east. After the museum, make your way back to Las Ramblas. Stop for a drink or a snack in Plaça Reial, one of the city’s prettiest squares, before continuing down to Port Vell, the Rambla del Mar and Maremàgnum for an evening walk. Day 2: Day Two is all about Gaudí. 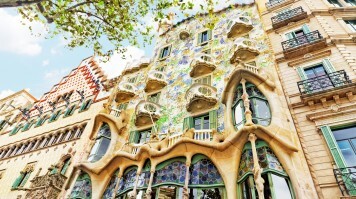 Start with a visit to Casa Battló (and don’t forget to notice Casa Amatller next to it, a building created by another notable local architect, Josep Puig i Cadafalch). From there, it’s only a short distance to a second unmissable Gaudí building, La Pedrera. After lunch, move on to the Sagrada Família. After visiting Gaudí’s — and Barcelona’s — most famous building, continue on to Parc Güell in the north of the city. Day 3: Day Three is set aside for exploring the Montjuïc area. You can start the day with an optional walk around the Parc Joan Miró and a visit to the Arenas de Barcelona (the bullring) before heading up to Montjuïc. You’ll find plenty to keep you occupied there, but the sights you’ll want to see include the Museu Nacional d’Art de Catalunya and the Fundació Joan Miró. You might want to visit the Museu Olímpic i de l‘Esport, and you won’t want to miss the chance to ride the funicular up to Castell de Montjuïc. Finish the afternoon with a walk around the Jardí Botànic de Barcelona before making your way back to your hotel. Day 4: Day Four is set aside for a day trip outside of the city. 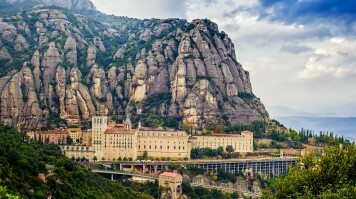 The most popular is Montserrat, but others are possible. See below for other suggested options. Day 5: On the final day, take a trip to Camp Nou, home of FC Barcelona. After the tour, head back to explore the streets of El Ravel and visit the Museu d’Art Contemporani de Barcelona. Finally, make your way over to Barceloneta where you can either take a walk down to Port Olímpic or simply spend the remaining few hours of your Barcelona vacation relaxing on the beach. Most people who travel to Barcelona assume that the best place to stay is right in the action along Las Ramblas. There is no doubt that having a room overlooking Barcelona’s most famous street has a certain charm — if you don’t mind paying a bi extra for the privilege. However, you can find much better value just a few streets away in the Barri Gótic or El Ravel quarters — and this is true for all categories of accommodation from budget to luxury. Another option for top-end hotels is the Eixample quarter, although this will leave you much further away from Las Ramblas. Also, bear in mind that if you are traveling on a shoestring, even low-end accommodation in Barcelona is among the most expensive in Spain. 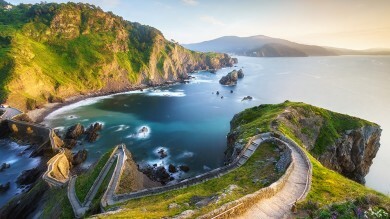 If you stay in Barcelona for more than just a couple of days and feel like exploring a little more of Catalonia, there is plenty to see within easy striking distance of the city. Only 40km northwest of Barcelona and easily reachable by train, the mountain of Montserrat and the 1,000-year old monastery perched upon it is one of the easiest and most popular. A little further away, close to the French border but also possible in a single day, is the town of Figueres, home to the Teatre-Museu Dalí, a museum created by the Surrealist artist himself in the town of his birth. Another option is a trip to one of several nearby cava vineyards that offer tours and tastings of the region’s famous sparkling wine. 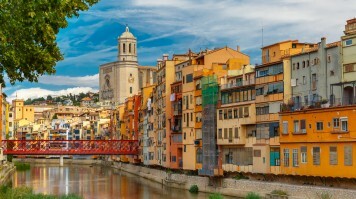 For those interested in historical monuments, the city of Girona to the northeast boasts an impressive and attractive medieval quarter, whereas Tarragona, southeast of Barcelona, has some well-preserved Roman remains from a more ancient past. Either city could be visited in a day, but it’s probably worth staying at least one night to make the most of the trip. 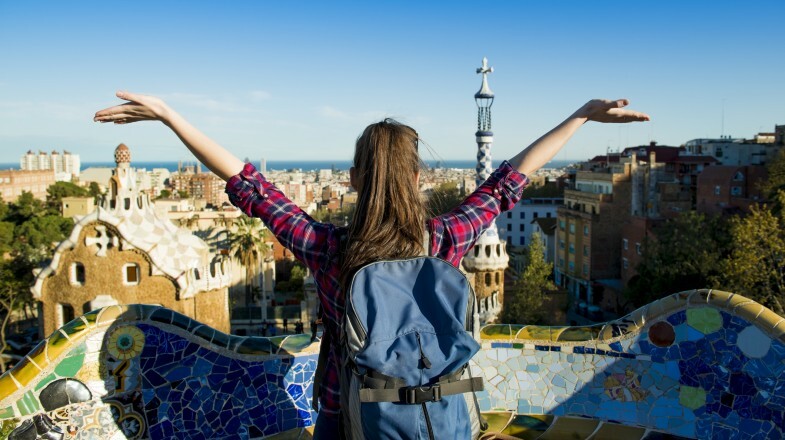 With so much on offer, there can be a temptation to try to cram as much as possible into your vacation in Barcelona, but it is impossible to see everything in a single trip. A much better approach is to focus on the things you really want to see but also to enjoy the relaxed, laidback pace of life in Catalonia’s enchanting capital.